Well, here’s some good news! 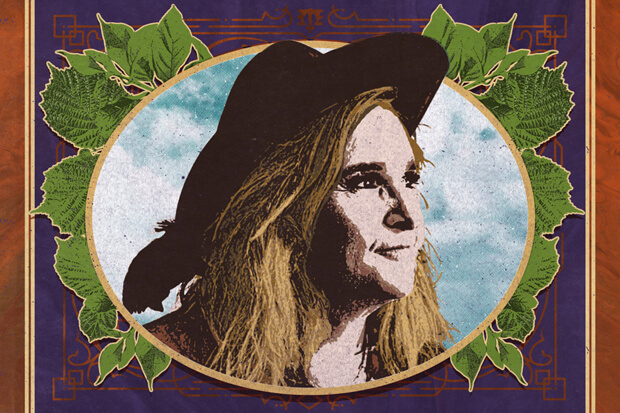 Melissa Etheridge is unleashing a new album called The Medicine Show on April 12. The rock icon revealed the cover on social media this morning (February 12) and, as you can see, weed (more specifically, its healing properties) is one the record’s main themes. “Calling the album The Medicine Show puts straight up, front and center, that this is about health, wellness, cannabis, this new thought, new paradigm, however you want to talk about it, however you want to understand it,” she explains. I’m particularly looking forward to “Last Hello” (a tribute to the survivors of the Parkland school shootings), “Wild and Lonely” and “Faded By Design.” Melissa will support the album with a headline tour, which kicks off in Florida on March 29. See all the dates and buy tickets here. While we wait for the lead single to arrive, revisit my favorite Melissa Etheridge x John Shanks collaboration, “Angels Would Fall,” below. Are you excited for Melissa’s new album? Let us know below, or by hitting us up on Facebook and Twitter!